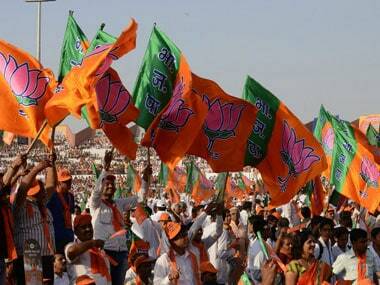 Bhubaneshwar: BJP cadres in Odisha have never appeared more upbeat in the recent past. For the first time since those heady days of 1998-2009, there is a spring in their step. They believe the coming elections will mark the coming of age of the party in the state. The leaders of the party, which has never won a Lok Sabha seat on its own, are now talking in terms of winning no less than six of the 21 parliamentary seats in Odisha. There is, however, no basis for such optimism given the BJP’s recent electoral performance. Ever since Odisha CM and BJD leader Naveen Patnaik brought the party down from Cloud Nine to terra firma with his unilateral announcement of the severance of his 11-year old alliance with the BJP in the run up to the 2009 elections, it has been all downhill for the saffron outfit in the state. The split with the BJD brought the BJP down from a high of 38 seats in the Assembly and seven seats in the Lok Sabha to just six in the Assembly and none in the Lower House of the Parliament in a matter of just months. With the glue of power gone, the saffron party began to fall apart rapidly. The space for the party kept shrinking steadily as dissensions, internal bickering and leadership tussle ate into the vitals of the party organisation. The party reached the nadir in the urban elections late last year and early this year, yielding ground to the BJD even in its supposed stronghold of western Odisha. What then explains the sudden air of optimism that is visible among the party faithful? The short answer is ‘Modi’. 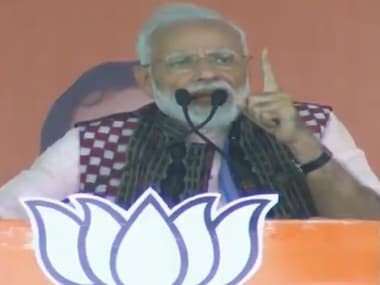 The BJP Prime Ministerial candidate has already addressed two ‘Vijay Sankalp Samavesh’ rallies in the state – one each in the state capital of Bhubaneswar and in Sambalpur, the nerve centre of the region where the party believes it has a sizeable base. It is the success of these two rallies that has created the buzz so essential in Indian elections, which the party believes would bring in a few Lok Sabha seats for it this time. Enthusiastic state leaders are now working overtime to pack in a few more before Election Day on 10 April. The six Lok Sabha seats where the BJP hopes to win are Nabarangpur, Bolangir, Bargarh, Sundargarh, Sambalpur and Balasore. But political wisdom outside the charmed circle of the party faithful suggests that the BJP has a realistic chance of winning only in two out of these six seats – Sundargarh, where former Union minister Jual Oram is taking on incumbent Congress MP and former Chief Minister Hemananda Biswal, and Samblapur, where senior leader and former state unit chief Suresh Pujari is locked in a three-cornered fight with sitting Congress MP Amar Pradhan and BJD candidate Raseswari Panigrahi. Curiously, the party is not so sanguine about its chances in the Assembly polls which are taking place simultaneously with the parliamentary polls in Odisha. “To be honest, we will be happy to win 12-15 seats in the Assembly elections and overwhelmed if we get 20,” says a party senior. Even 20 in an Assembly of 147 members is hardly something to write home about. So what explains the differential expectations of the party from the two elections being held simultaneously? “We hope to do well in the Lok Sabha elections because we can see the yearning among the people to see Modiji as the Prime Minister of India. But when it comes to the state elections, there is nothing to suggest that the people’s rather long honeymoon with Naveen Patnaik is about to end anytime soon,” says the BJP leader. 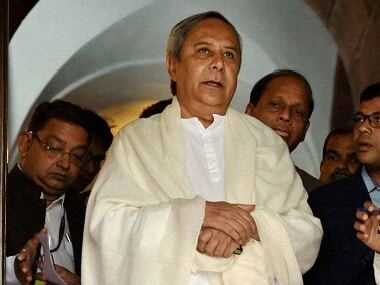 Interestingly, most BJP leaders in the state are betting (and banking) on Naveen Patnaik backing – either directly or indirectly – an NDA government led by Narendra Modi that they are sure will assume power sometime in the third week of May. Even a senior BJD leader concedes as much. 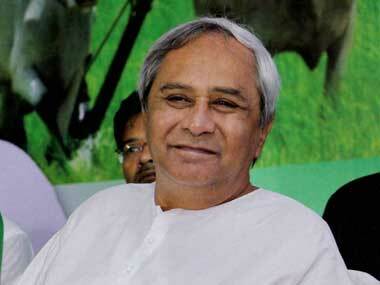 “What other realistic option is he (Naveen) left with? The Congress led UPA is definitely on its way out and the so called Third Front has already proved to be a non-starter. In the event of a NDA government being formed at the Centre, the BJD can hardly afford to have an antagonistic relationship with the new government or even remain neutral, can it?” he says. While the choice may be clear for Naveen, the BJP in Odisha is certainly on the horns of a dilemma: how does it deal with the BJD supremo? While a section of the party, led by current state unit president Kanak Vardhan Singhdeo is opposed to any truck with the ruling party, another section, with the blessings of the party’s central leadership, is more than willing to play ball with its ally turned tormentor in chief. The central leadership’s position can hardly be faulted. The results of the 2009 elections proved beyond any shred of doubt that the BJP was essentially riding piggyback on the BJD all these years. Shorn of the alliance, it could not win a single parliamentary seat and managed just six in the Assembly. 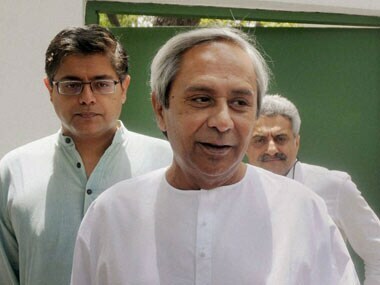 The first step towards a possible revival of the relationship was taken during the Rajya Sabha elections last month when the central leadership brushed aside the objections of a section of the state unit to ask BJP MLAs to back the BJD promoted independent candidate Padma Bibhusan Raghunath Mohapatra for the fourth seat. Talk of some kind of an understanding between the two sides gained ground when Modi treated Naveen with kid gloves during both rallies he addressed in the state in the recent past. In this event, the Naveen baiters in the state unit hardly have any choice other than to fall in line and prepare to play second fiddle to Big Brother.